Whether the engine timing chain needs to be replaced? Timing chain is an important engine parts. The main role of the timing chain is used to drive the engine valve train, the engine's intake and exhaust valve open or closed at the appropriate time, to ensure that the engine can normally aspirated cylinder and exhaust. By the end of February 2014, the Chinese Automotive Quality Site, an owner of the 2011 Volkswagen Magotan 1.8TSI DSG luxury sedan launched complaints, complaints on the grounds that: in the absence of any fault tips, the car parked in one place, when the owner go back to start the car, the car can not start, then he went to the 4S shop, was told that the engine timing chain needs to be replaced. The FAW-Volkswagen Magotan car timing chain failure is not a case of a complaint, the consumer complaints frequently timing chain problem, riders strong appeal for FAW-Volkswagen Magotan 09 previous 1.8t to recall the timing chain of quality problems for the majority of the owners to solve possible problems, eliminate hidden dangers. FAW-Volkswagen may temporarily have not made a clear answer. Automotive timing belt was previously used before engine timing chain, but in recent years, the car engine is being more widely adopted the chain drive system, because of its compact, high power delivery, reliability and better wear-resisting performance, diverse design patterns, significant advantages lifetime maintenance-free, to overcome some deficiencies of the gear and belt drive performance and adding a new value to the car for end-users. Do you think engine timing chain needs to be replaced it necessarily? Timing chain, according to the principle, is not to be replaced usually in conjunction with the engine scrapped unless defective. 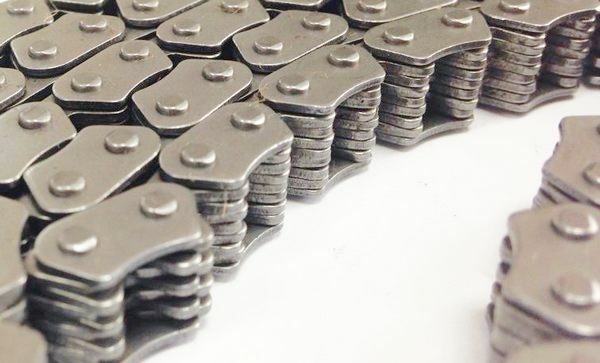 Timing chain of Hangzhou Vision Chain Transmission Co., Ltd. Is made of 40-manganese steel, does not rust, durable, strong tensile capacity of automotive engine timing chain. That is a good choice. But many experts believe that the timing chain is a absolute mature technology. Generally, when use life is up to the 200,000 to 300,000 kilometers, timing chain needs to be replaced.